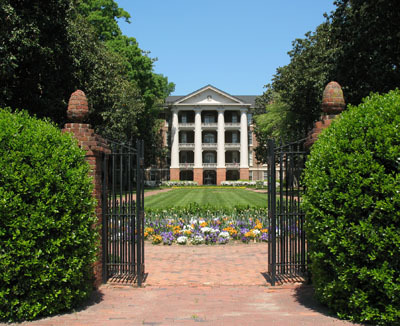 Peace College, Raleigh, NCToday North Carolina has the following 36 independent colleges and universities accredited by the Southern Association of Colleges and Schools. These institutions are affiliated with 14 different religious denominations and enroll over 80,000 students. They confer nearly one-third of the bachelor's degrees awarded in the state each year and over half of the state's degrees in law and medicine. Colleges & universities are listed with their current locations and estimated dates of establishment. Main building at Peace College, Raleigh, NC, 2010. From the State Library of North Carolina, Raleigh, NC. www.ncdcr.gov. This image is in the public domain. Can I please get info on schools that offer Occupational Therapy Asst and Criminal Justice(AAS)? Thanks for visiting NCpedia and taking time to post your question. I had no idea there were so many well known colleges in North Carolina? I think I can only name the five main ones. I wonder what it takes academically to get into each of those schools?